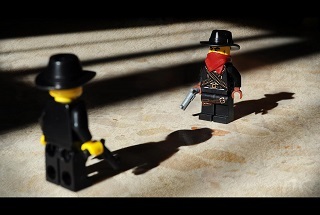 We’ve probably all seen showdowns between sales and marketing. Much of this comes down to miscommunication, and clearing it up can mean thedifference between growth and decline in a business. Here’s how to bury the hatchet and create a win/win for sales, marketing and the organization. Sales and marketing departments are both focused on business growth, they just come from different points-of-view. But the issues really occur when neither gets what they need to do their jobs effectively. So where do we start? 1. Speak the same language. Current revenue / current customers = average deal size. Revenue goal / average deal size = customers needed. Current customers / current leads = average lead-to-customer percentage. Customers needed / average lead-to-customer percentage = leads needed. Define your company’s sales funnel. What does a visit, lead, marketing-qualified lead, sales-qualified lead, opportunity and customer mean to sales and marketing? Most likely different things. Without clear, company-wide definitions, we’re likely to resort to bickering. What is a sales-ready lead? To decide, you need to explore fit (the likelihood of becoming a customer) and interest (degree of engagement). What is meaningful to your organization? Decide. Together. Define the lead handoff process. Typically marketing owns the top of the funnel: bringing in website visitors, educating and warming up the lead. Sales takes the middle to bottom of the funnel: nurturing and closing the lead into a customer. Define your buyer persona. Buyer personas represent the ideal customer we are trying to attract, woo and close. We have to agree on who this audience is and match the audience sales reps are talking to with the audience marketing is trying to reach. So communication between the two groups is mutually advantageous: sales and marketing reps are empowered knowing ideal customers’ goals, challenges, objections, what helps them and the messaging that attracted their interest. How might the information you have help your co-worker? An effective marketing campaign may bring in a flood of website visitors. Share the messaging that works with sales. It may help them nurture and close. Sales reps know everything about prospects and customers. Tell marketing how leads talk about information/keywords, turn ons and turnoffs? This helps save marketing a lot of time and money. 2. Set Up Closed Loop Marketing. Closing the loop is about the system and process of sharing information between sales and marketing to get more customers. And when there’s a weak link, these problems tend to pop up: duplicate or inadequate information about leads, no feedback from sales, no ROI information. You just don’t know if marketing efforts are paying off or why. With more data about how leads are closing into sales, marketers can understand which programs were effective—and how to best spend their time and budget. With more lead intelligence, especially being funneled into a CRM, sales reps can better manage and prioritize leads, understand the kind of conversation they need to have with each lead, increase close rate and overall growth. Determine where your customers come from. Which marketing channels are producing customers? Volume isn’t always an indicator of conversion, although it is more likely. Still, you want to have analytics in place to understand more than channel or lead conversions. You want to quantify how channel activity results in customers. 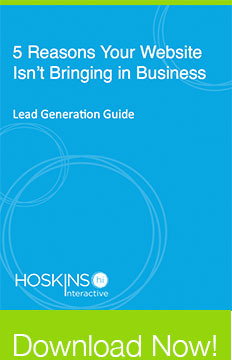 What content reels in leads? This is about prospect behavior. What is collectively capturing interest throughout the lifecycle? Are high quality leads attracted to similar types of content? Content is the best ammo you have online, so extract as much intelligence as you can around performance. A/B testing can help here, too. Emails they’ve received and what they responded to. Social media activity and conversations about products/services and pain. CRM integrations make it easy for both camps: sales can see what the lead downloaded, what content/topics interest them, what drew them to the website. Marketers can see how leads are progressing through the funnel. It’s pretty helpful for sales reps to get a real-time alert whenever a lead lands on the brand website and starts browsing. Reps can hop on the phone, follow up in a timely and relevant way. 3. Establish a service level agreement (SLA). Marketing provides a specific number and quality of leads to hit company revenue goals. Sales applies the right degree of follow up for each lead given its quality. And this, too, comes back to numbers. How many leads of a certain quality do sales reps need to make quota? Quota (revenue number) / average revenue per customer = number of customers needed. Customers needed / average lead-to-customer percentage = number of leads needed. 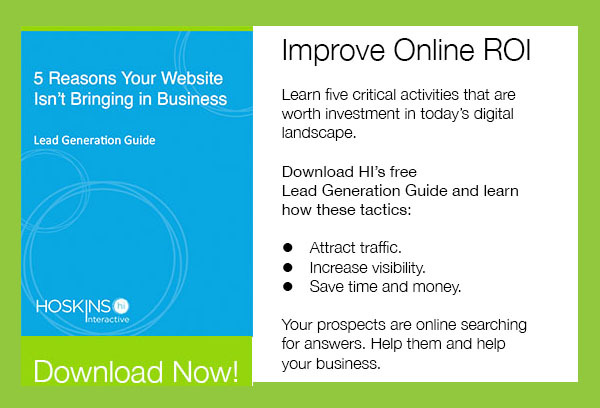 The above calculation gives you volume of leads needed, but dig deeper to define quality. A lead from an ebook is generally a top-of-the funnel lead—it will require more nurturing, and the true interest level/fit is uncertain. But leads from middle and bottom-funnel offers, like webinars or demos, are more sales ready. You may need three ebook leads for every one demo lead to reach the quota. Finding a balance of lead quality will even out the pipeline and keep sales reps happier, working at a manageable pace. How should sales maximize each lead follow up? Determine the amount and kind of follow up within specified time frames. Ideally, reps are calling, emailing and using social media to connect with leads efficiently. Given the numbers you’ve set as goals for both teams, make tracking a daily practice in your marketing platform and CRM. Here’s where sparks hopefully fly in a good way: set up a weekly smarketing meeting. Depending on the size of your organization, you may make it an all team gathering, or just department heads. Getting together weekly keeps sales and marketing in tune, aware of successes, updated on news, product features, feedback, personas and metrics. Discuss big picture topics, strategy and issues in a monthly management meeting. For both meetings and in frequent exchanges: use dashboards and data to reveal leads by source and campaign. But also tell stories to make dialogue and the game plan more memorable. What to do when things go wrong? Check emotions and look at data. And remember: sales and marketing teams are in it together. You are more powerful and can produce greater results when you focus on complementing each other, instead of seeking control.